US 50, rt on SR 350 to Sparta, lt on Rummel Rd thru STOP, lt on Lewis Rd. Property on right. Sign on. 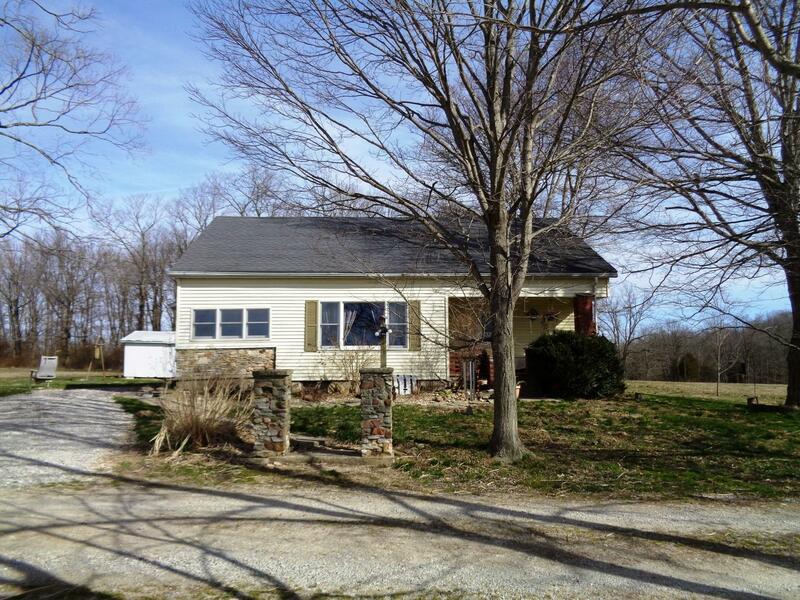 Well-built, partially remodeled, older Cape Cod on 75 acres. 41 tillable acres, 33 wooded acres. 2-c detached garage; large older barn; 3 shelters; 2 ponds; additional outbuildings.